Any errors of spelling or grammar have been corrected silently. "In his actual presence none but very few of equal stature could have hoped to withhold it from him. Of 'mortals' no one, not even Aragorn. In the contest with the Palant�r Aragorn was the rightful owner. Also the contest took place at a distance, and in a tale which allows the incarnation of great spirits in a physical and destructible form their power must be far greater when actually physically present. 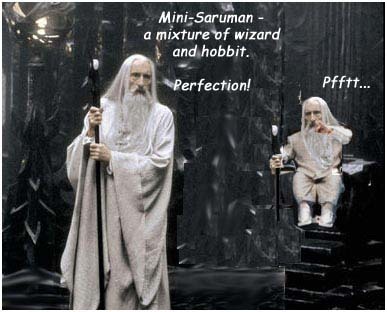 Sauron should be thought of as very terrible. The form that he took was that of a man of more than human stature, but not gigantic. In his earlier incarnation he was able to veil his power (as Gandalf did) and could appear as a commanding figure of great strength of body and supremely royal demeanour and countenance (Letter No. 246)."